Tier 1 Heating & Cooling is a local Air Conditioning Installation and Air Conditioning Contractor located in Tuscaloosa, AL. We provide our customers with a comprehensive approach to any and all HVAC needs that may arise. Tier 1 Heating & Cooling is a local Air Conditioning Installation and Air Conditioning Contractor located in Tuscaloosa, AL. We provide our customers with a comprehensive approach to any and all HVAC needs that may arise. A-1 Guaranteed is a family-owned and operated business that serves Solano, Napa, and Contra Costa Counties with Heating and Air Conditioning, Solar, Tankless Water Heaters, Windows, Insulation and/ or Duct Replacement needs. As one of the premier service businesses in the area, we have helped thousands of satisfied, loyal customers improve the energy efficiency of their homes and offices. A-1 Guaranteed is a family-owned and operated business that serves Solano, Napa, and Contra Costa Counties with Heating and Air Conditioning, Solar, Tankless Water Heaters, Windows, Insulation and/ or Duct Replacement needs. As one of the premier service businesses in the area, we have helped thousands of satisfied, loyal customers improve the energy efficiency of their homes and offices. Air Conditioning & Heating. Call the expert experts (that's us!) to help you with your Air Conditioning or Furnace problem. We want to help you get it fixed for the long term. Air National of Texas is a full-service air conditioning and heating company. We repair, service and sell systems from all major brands of air and heating manufacturers, including Rheem, York, Carrier, Trane, Rudd, Lennox, Bryant, Weather King, Gibson, Heil, Amana, Goodman, Frigidaire, and Tempstat. Air Conditioning & Heating. Call the expert experts (that's us!) to help you with your Air Conditioning or Furnace problem. We want to help you get it fixed for the long term. Air National of Texas is a full-service air conditioning and heating company. We repair, service and sell systems from all major brands of air and heating manufacturers, including Rheem, York, Carrier, Trane, Rudd, Lennox, Bryant, Weather King, Gibson, Heil, Amana, Goodman, Frigidaire, and Tempstat. If you are looking for top-notch HVAC products with a great warranty in Lakeland, Florida, look no further than Air Assault Air Conditioning & Heating. If you are looking for top-notch HVAC products with a great warranty in Lakeland, Florida, look no further than Air Assault Air Conditioning & Heating. H.A.S.E. Contractors have over 25 years of experience providing residential and commercial heating, air-conditioning, solar and electrical services throughout Northern California. H.A.S.E. Contractors have over 25 years of experience providing residential and commercial heating, air-conditioning, solar and electrical services throughout Northern California. All Day Air Cooling & Heating is the premier cooling and heating company located in the Southwest Florida area. With years of combined experience in the cooling and heating industry, our technicians are skilled, experienced, and eager to assist you in feeling comfortable in your Southwest Florida home or office. We proudly offer residential, commercial, and new construction services. All Day Air Cooling & Heating is the premier cooling and heating company located in the Southwest Florida area. With years of combined experience in the cooling and heating industry, our technicians are skilled, experienced, and eager to assist you in feeling comfortable in your Southwest Florida home or office. We proudly offer residential, commercial, and new construction services. Give R&S a call and we will be happy to help you with any of your air conditioning, heating, or refrigeration needs in a professional timely matter. Air conditioning has become an integral part of most people’s lives. Most people do not know much about the importance of Air Conditioning maintenance. R&S Aircare has implemented a program called the Comfort Club where we can provide our customers with comfort and ideal indoor temperatures. Give R&S a call and we will be happy to help you with any of your air conditioning, heating, or refrigeration needs in a professional timely matter. Air conditioning has become an integral part of most people’s lives. Most people do not know much about the importance of Air Conditioning maintenance. R&S Aircare has implemented a program called the Comfort Club where we can provide our customers with comfort and ideal indoor temperatures. 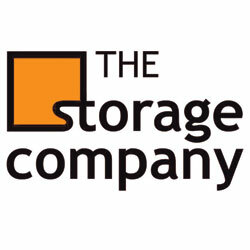 The Storage Company is these best storage in London Ontario. The Storage Company provides self-storage units which are the ideal storage solution for both your residential and business storage needs. The Storage Company also provides professional storage services, student storage services and Self Storage Insurance, truck rental for all your moving needs, business services like faxing and copier machine and packing/moving supplies right on site. The Storage Company is these best storage in London Ontario. The Storage Company provides self-storage units which are the ideal storage solution for both your residential and business storage needs. The Storage Company also provides professional storage services, student storage services and Self Storage Insurance, truck rental for all your moving needs, business services like faxing and copier machine and packing/moving supplies right on site. B Moore A/C & Heating in Ferris, TX serves Residential and Commercial customers in Ellis and south Dallas counties. We offer services in Air Condition and Heating repair, maintenance and installation. We specialize in servicing mobile homes. B Moore A/C & Heating in Ferris, TX serves Residential and Commercial customers in Ellis and south Dallas counties. We offer services in Air Condition and Heating repair, maintenance and installation. We specialize in servicing mobile homes. We are a full-service HVAC contractor specializing in commercial refrigeration. We are a full-service HVAC contractor specializing in commercial refrigeration. Need AC Repair in Greenwood, Indiana? Top Shelf Heating, Cooling and Geothermal is a local family owned business who services all of Greenwood, IN and surrounding areas. Need AC Repair in Greenwood, Indiana? Top Shelf Heating, Cooling and Geothermal is a local family owned business who services all of Greenwood, IN and surrounding areas. AC repair in Noblesville, Indiana is provided by Top Shelf HVAC. If you are in need of an ac repair specialist who is honest and affordable, give us a call today. AC repair in Noblesville, Indiana is provided by Top Shelf HVAC. If you are in need of an ac repair specialist who is honest and affordable, give us a call today. AC repair in Carmel, Indiana. If you are in need of service, repair, or installation, call one of our trained technicians today at 317-669-9090. We have ac repair coupons in Carmel, IN. AC repair in Carmel, Indiana. If you are in need of service, repair, or installation, call one of our trained technicians today at 317-669-9090. We have ac repair coupons in Carmel, IN. Top Shelf Heating, Cooling, and Geothermal is a family owned ac repair business in Indianapolis, Indiana. Top Shelf Heating, Cooling, and Geothermal is a family owned ac repair business in Indianapolis, Indiana. AC repair in Zionsville, IN is a service provided by our family owned business, Top Shelf HVAC. If you live in the Zionsville, Indiana area and are in need of an ac repair company, give us a call at 317-942-0469. AC repair in Zionsville, IN is a service provided by our family owned business, Top Shelf HVAC. If you live in the Zionsville, Indiana area and are in need of an ac repair company, give us a call at 317-942-0469.